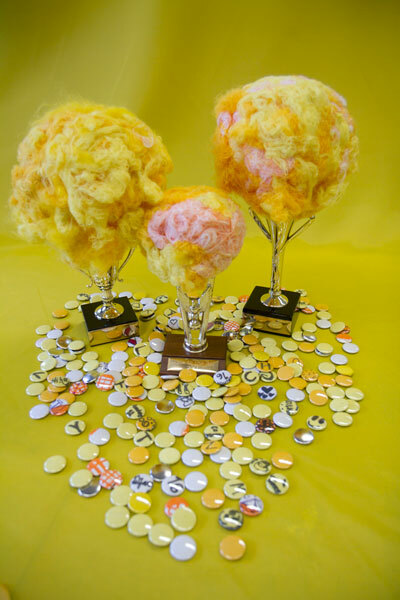 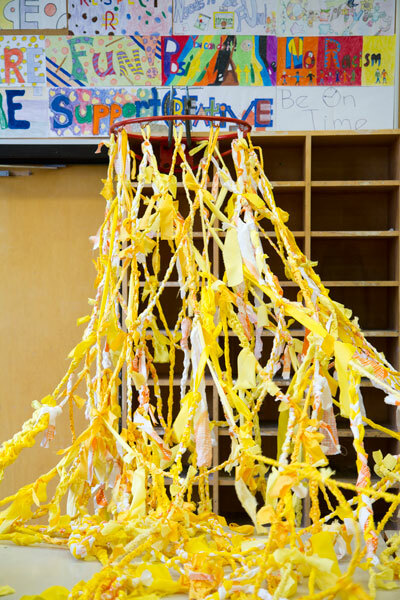 Walls to the Ball is a project produced by artist Hazel Meyer in collaboration with a grade 10 and a grade 11/12 art class from a large secondary school in Toronto. 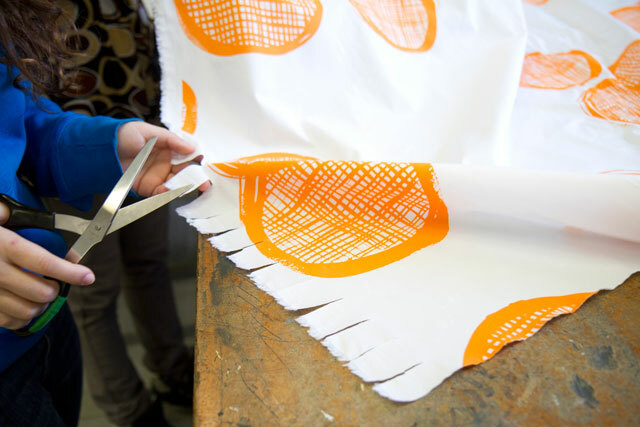 The project was executed over an 8 week period of time. 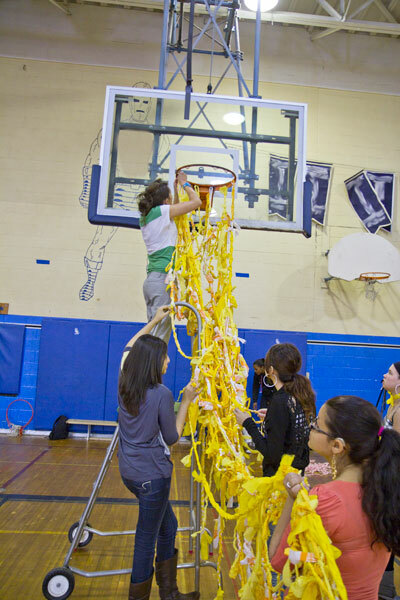 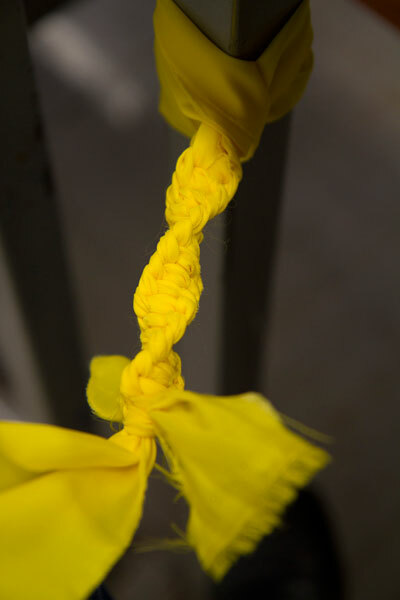 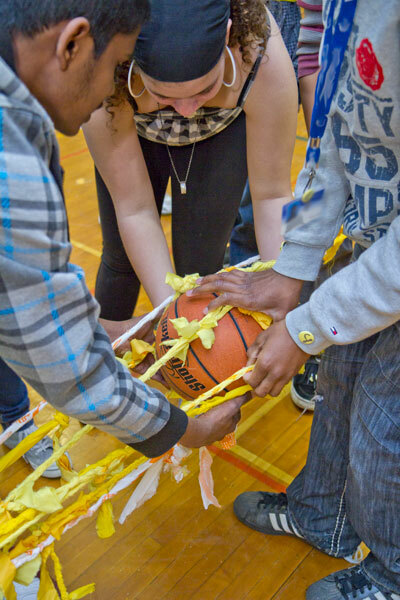 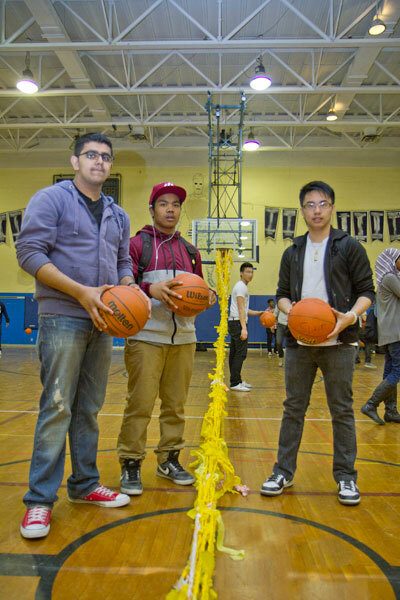 The students were introduced to a number of contemporary artists, experimented with different knotting techniques including macramé and braiding, and collaborated on producing two large basketball-type nets, each one stretching 40 feet in length. 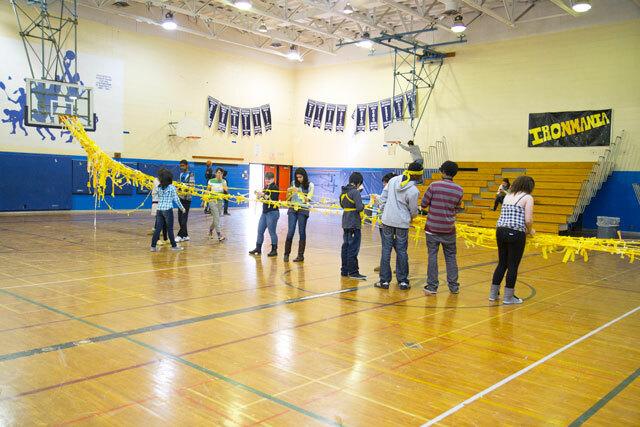 After weeks of braiding ‘labor’ in the art classroom the students installed the project in the gym, tying the two netted constructions together. 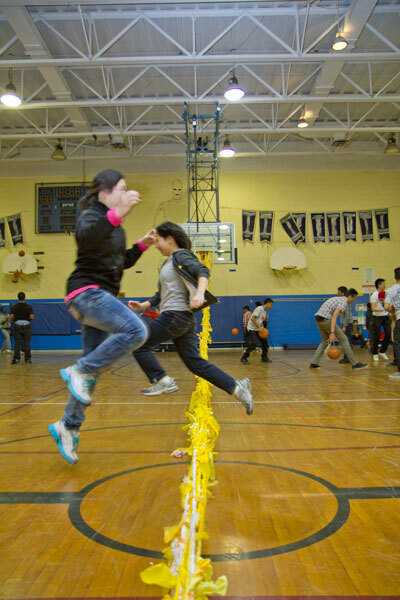 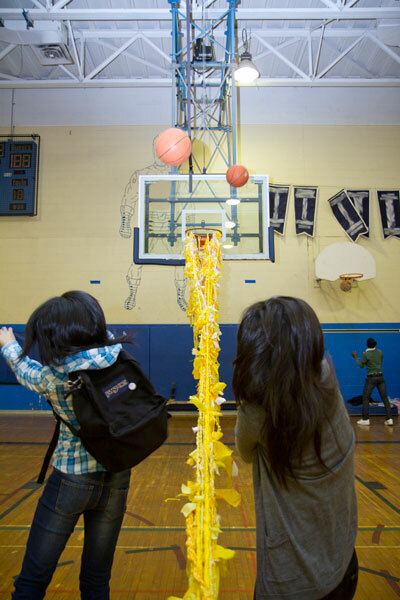 Students not in the art program were invited during lunch hour to interact and engage with the net – which included jumping over the net, swinging it, and shooting any number of the 15 basketballs that were in play. 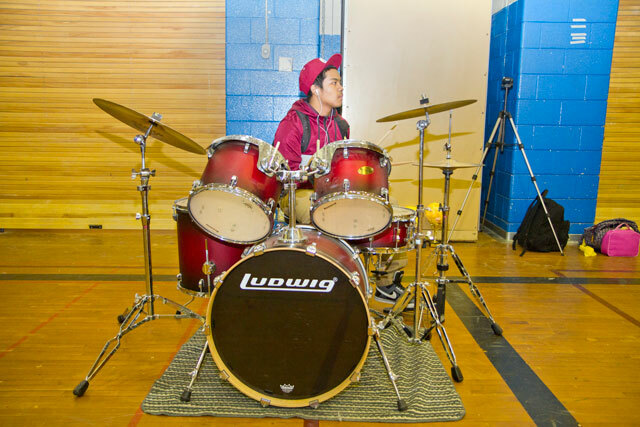 One student was enlisted to use a drum to create a rhythmic beat in the gym space and others joined him, taking turns on the drum kit.The residency emphasized the use of materials outside of their given form or meaning, the activation of bodies and space, and challenged students to think about different ways to work together to develop a contemporary work of art.